It can be quite challenging to get a wireless Bluetooth speaker that can be taken for a swim or used under the rain. We are going to be reviewing two unique Bluetooth speakers that have high degree of resistance to water, so you can purchase the one that meets up to your demand. 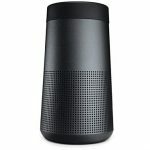 Sony srs xb41 is really a Bluetooth speaker to own if you love listening to music at a very high sound with an extra bass. It has an extra bass that gives all your songs a high pump. And also you can spice up your songs with the live sound. 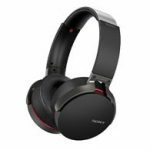 You are sure of getting a three- dimensional listening experience when using Sony srs xb41 because of its quality speakers. This Bluetooth speaker is perfect for a party night with its extra bass and live sound. It has line lights and speaker lights that can be turned on to color up your party. With it being IP67 rated, it can practically be submerged in water. You can equally take it to the beach and have a swim with it. 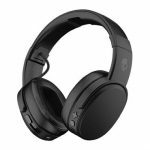 In addition to that, it is designed in a way where the holes on the speaker are properly covered making it 100% dust proof. If at any point, you feel it has accumulated a sizable amount of dust, then you can wash it with water. Its waterproof nature is not applicable to any form of soapy waters. Plus it is also rustproof, after submerging it in water; it still won’t have a rusty surface. Using it in the standard mode guarantees you up to 24hours talk time approximately, but if you activate the extra bass mode, and both the line and speaker lights, you have at least 14hours playtime which is still above the average. 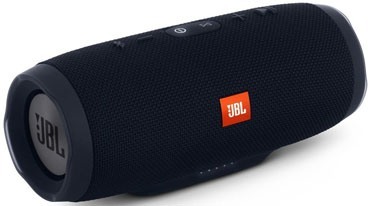 Jbl have been making great moves in the market for a long time, so it is no surprise that they came up with this spectacular product. This is one of the ideal Bluetooth speakers out there. 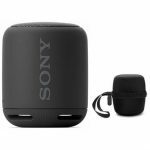 Like the Sony srs xb41, it is IPX7 waterproof, and can also be submerged in water, due to its rugged housing which ensures that water doesn’t get into the speaker. It comes with a 6000mah that guarantees you up to 20hours playtime, although this is dependent on how you use it. If you are a heavy user, it might not last up to 20hours playtime. Plus it also charges smartphones and tablets via usb port. In order words it is a power bank and Bluetooth speaker, which is a total package. It also gives one of the deepest bass sounds you can get from any portable speaker. With the touch of a button you can take calls, and because of its noise cancelling speaker, your caller can hear you in a clear voice. It blocks out every unwanted noise and echoes from your environment. It also has buttons that allow you skip, play, and pause the current song playing. For a more amplified and better listening experience, you can connect multiple Jbl enabled speakers. You can do that to have a better sound at your party. And also through Bluetooth, you can connect three smartphones so that you can take turns playing songs, so that one person is not in full control of the music. It doesn’t do well with high notes; it doesn’t give the full deep sound you would expect. It is quite big and a little heavy; you would definitely feel the brunt of carrying it for a long time. They are both powerful waterproof speakers and offer 3d listening experience. The major difference is that Jbl can serve as a power bank, and has a noise cancelling microphone. 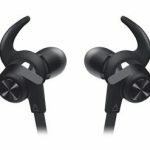 Click here to purchase Sony SRS-XB41 on Amazon.com! 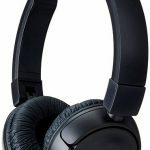 Click here to purchase JBL Charge 3 on Amazon.com!